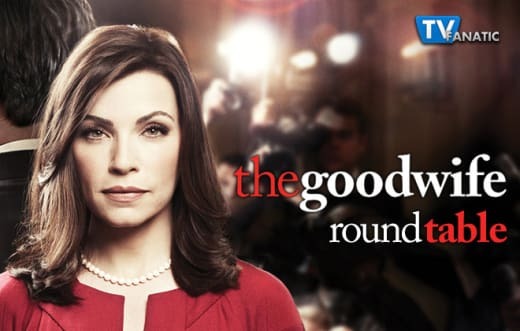 Jeffrey Dean Morgan came on board as Jason Crause... Eli began his rehabilitation of Alicia while driving Ruth Eastman crazy ... and Cary and Howard Lyman went head to head on The Good Wife Season 7 Episode 2. 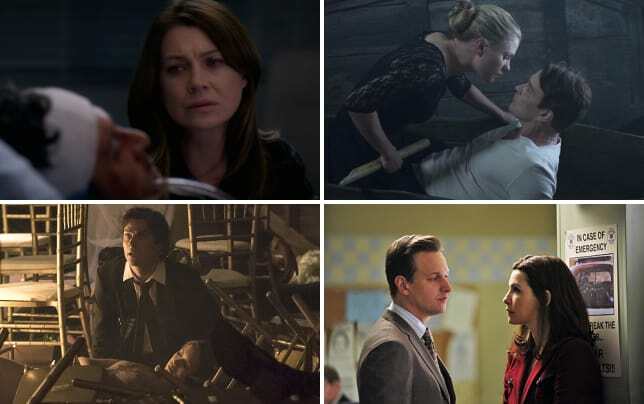 Below, the Round Table team of Elizabeth Harlow, Carissa Pavlica and Christine Orlando debate Alicia’s apology, Jason's interview and whether it's time for Howard to move on after "Innocents." Were you surprised that Alicia agreed to sit down with Democratic Chair Frank Landeau? Elizabeth: Not really, because from a practical standpoint, it had to be done. And we've seen Alicia do plenty of things she finds distasteful if they're practical. Carissa: I'll be honest, I try to stay as far away from politics as I can because my sister is a political nut. So, I don't really know why she had to sit down with the guy. Considering what he did to her, yes, it surprised me. However, it worked out really well for Eli. Christine: Yes and no. With Peter running for national office, they need to rehabilitate Alicia, and the last thing the public remembers is her scandal. Since Landeau arranged the scandal, he’s really the person to dismantle it, but boy, it had to be hard to not smack the guy. Would you have hired Jason Krause after that initial interview? Elizabeth: Well, my reaction during the interview was' "Alicia, don't hire him because you want to sleep with him!" But not hiring for that reason was a mistake, too. I would like to think I would have called my candidates references and done some due diligence and then made a decision. Carissa: Oh, come on, is there really anything I wouldn't do for or with Jeffrey Dean Morgan after a conversation with him? Even when he's not turning on the charm, he's difficult to resist, and Jason Krause was oozing charm in that interview. I was kind of verklempt while watching. Would hiring him because of that been any different than hiring that terrible gal because she reminded Alicia of Kalinda? That was quite the stretch. Christine: At first I thought he was crazy and wondered if it was safe for Alicia to conduct these interviews in her home! But he grew on me, and after the Amanda debacle he was really the only choice. Do you want to see Howard Lyman go? Elizabeth: For Cary and the firm's sake, I should say yes but...Howard is hilarious. Inappropriate, yes, but hilarious, and oftentimes manages to be surprisingly useful when you least expect it. Carissa: I've been wishing his character would go for several seasons now. I'm not sure what value he provides, and he's a terrible liability. They're lawyers, for goodness sakes, and they allow someone who harasses females to that extent to remain in the office? It's really embarrassing. What he's doing to Cary is just an extension of his already pitiful, but expected, behavior. Christine: At times Howard makes me laugh because he’s just so horrid, but I agree with Carissa. He’s a huge liability, and they should have sent him packing long ago. Was there anything in “Innocents” that disappointed you? Elizabeth: It was maybe a little light on Diane, et. al., but I think we'll have to get used to that. I loved Alicia taking the bond court case and turning it into something, I loved Mamie Gummer, I loved Kurt Fuller, I loved Emily's List getting some free publicity. 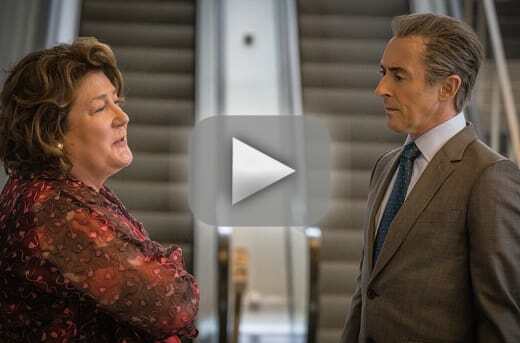 Eli got to be all devious, and Margo Martindale is such a great addition to the cast. Carissa: Mamie Gummer's character continues to annoy me. Her shtick has grown as old as Howard's. I'd really like to see her fall hard and not get back up. The more cartoon-like a character is, the more intolerable they are to me, and I'd rather spend time with the Alicias, Lucas, Carys and Dianes of the world. Christine: I agree about Mamie Gummer. I want to like her but her shtick gets to be a bit much. It runs from mildly amusing to fingernails on a blackboard. Elizabeth: Oh god, everything was good! I was really tickled by Eli messing with Ruth's head though. I'm loving their dynamic. Carissa: Once again, I'm ridiculously pleased with the story Grace is getting this season. Never in a million years did I imagine I would actually enjoy her scenes, but her interactions with Alicia are a highlight. I was proud of her for asking about her salary. She has good instincts and is keeping Alicia on a decent path. She should be making some dough. I can't wait to see what's next for her. OMG – did I just say that?! 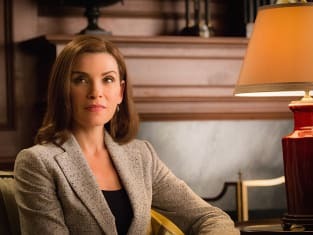 Check back on Sunday for our review of The Good Wife Season 7 Episode 3 and if you can’t wait until then, you can watch The Good Wife online here at TV Fanatic.